The Bishops Avenue, London N2, connects the north side of Hampstead Heath at Kenwood (Hampstead Lane), Hampstead to East Finchley and is on the boundary of the London Boroughs of Barnet and Haringey. It is named after the Bishops Wood through which it runs, formerly owned by the Bishop of London, following a land grant in 704. 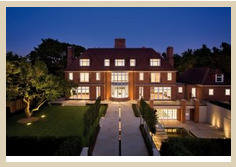 Billionaires move to The Bishops Avenue precisely because they want to proclaim their wealth and extravagance. That’s where the road gets its nickname from - "Millionaires' Row" and today called as "Billionaires' Row". 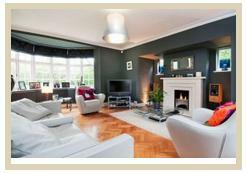 Contact us for exclusive list of barnet homes and houses for sale in camden. 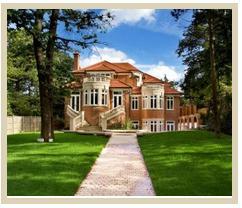 Average property prices on the avenue surpassed £1 million in the late 1980s and each property occupies a 2-3 acre plot. According to Forbes, in 2006, the smallest houses in the street were selling for £5 million, while a larger house, Turkish tycoon Halis Toprak's 30,000 sq ft mansion, sold to the President of Kazakhstan, Nursultan Nazarbayev, for £50 million, in January 2008, making it one of the most expensive houses in the world. A tree-lined avenue half a mile long in the heart of embassy land, Kensington Palace Gardens is often cited as the "most exclusive address" in London, and has long been known to be a part of the "Billionaires Row". Occupying a prominent position in this prized and internationally renowned turning, The Bishops Avenue house is a substantial detached freehold residence of 8,121 sq ft set well back behind a sweeping carriage driveway and protected by electronically operated security gates. The house features partial air conditioning, a custom built Christains kitchens and beautifully landscaped grounds.There is a substantial rear garden which is surrounded by tall tress giving excellent privacy. To the front of the property the wide driveway proves ample parking and leads to a double length garage..Read More..
A rare oppurtunity to build a new mansion on The Bishops Avenue. A freehold site of 1,640 m (17,650 sq ft/approx. 0.39 acre) is available on this important road with planning permission for the construction of a magnificent mansion (approximately 15,000 sq ft). Read More..
Carlton House is a fine example of the imposing mansions located on the prestigious The Bishop’s Avenue – one of London’s most exclusive residential addresses. Situated in leafy Hampstead, the area is renowned for its historic parks and woodland but still offers excellent proximity to London’s financial district. 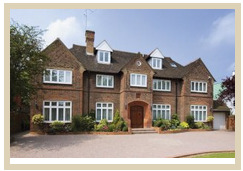 Stratheden House situated in the Bishops Avenue has been rebuilt throughout and just a few of the many features include a triple volume reception hall, a lift to all floors, large principal reception rooms and a Ballroom of 2,700 sq. ft./250 sq. m. Read More..
Set well back from the road behind secluded gardens, this house on billionaires row - Bishops Avenue is a charming and delightful 6 bedroom double fronted detached home presented in excellent decorative order throughout. The house spans 3,416 sq ft (318 sq m) over three storeys and benefits from four living areas on the ground floor providing spacious entertaining and family accommodation.Read More..
A spectacular lateral penthouse apartment in the most prestigious development on The Bishops Avenue with 6,000 sq ft of interior designed accommodation leading to 1,700 sq ft of west facing terrace with superb uninterrupted views. The Versailles Penthouse is fully air conditioned and fitted with state of the art technology including an integrated Crestron control system and home cinema.. Read More..
A stunning apartment within this luxury development offering 24 hour security, underground parking, swimming pool and gym. The specification includes walnut flooring, Boffi Kitchen, Gaggenau appliances including two ovens, sub zero fridge freezer and comfort cooling in all rooms. 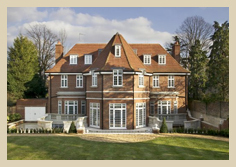 An imposing newly built ambassadorial property for sale on billionaires row. This important new double fronted detached mansion set behind high electric gates, is presented in immaculate condition throughout providing luxury ambassadorial accommodation in this prime location and is set within an acre plot.Step into the grand double height reception hall of Jersey House and you enter a magnificent newly-built mansion of elegance, style and luxury.Accessed via two pairs of remotely operated solid Oak entrance gates that open onto a York stone paved carriage drive, Jersey House is a classic London mansion set in 1.2 acres of extremely private and beautifully manicured grounds.Read More..
We are delighted to offer for sale this 3rd floor 3 bedroom penthouse situated in this private gated ‘Octagon’ development completed 2009. The apartment measures 2734 sq ft and offers excellent accommodation, benefits include private terrace, comfort cooling, underground parking for 2 cars, storage room, direct lift access, 24 hr porter and use of beautiful landscaped communal gardens. 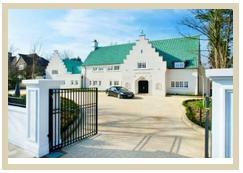 Superior 8 bedroom detached freehold Mansion which is set behind a wide sweeping driveway and discreetly located behind security gates. 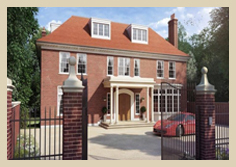 This property occupies a prominent plot on The famous Bishops Avenue lane. Offering 14,000 sq. 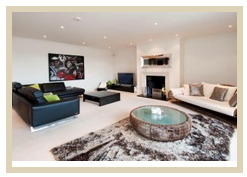 ft. of accomodation with a media room, swimming pool gym and leisure complex.Read More..